Doria Hotel Yacht Club Kas Kas, Hotel Turkey. Limited Time Offer! Doria Hotel Yacht Club Kas. 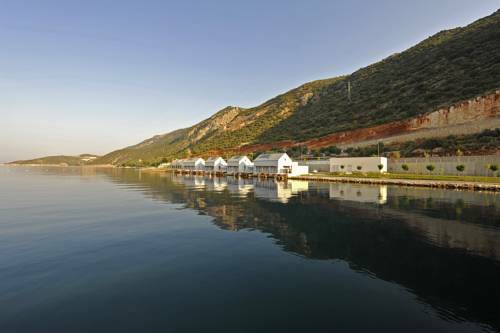 "Doria Hotel Yacht Club Kas" is a convenient base from which you can explore Kas. The architecture of the property is at the heart of the accommodation's Mediterranean feeling. The rooms are bright and air-conditioned, and have been decorated with style. Thanks to the relieving air conditioning, the interior temperature is never too hot. Guests can have fun in and around the outdoor pool. A visit to the whirlpool bath will help you feel reborn. You can dine at the onsite restaurant which proudly serves its international and Mediterranean specialties. For a drink in the evening, you will appreciate the bar. Access to the Internet is available free of charge.